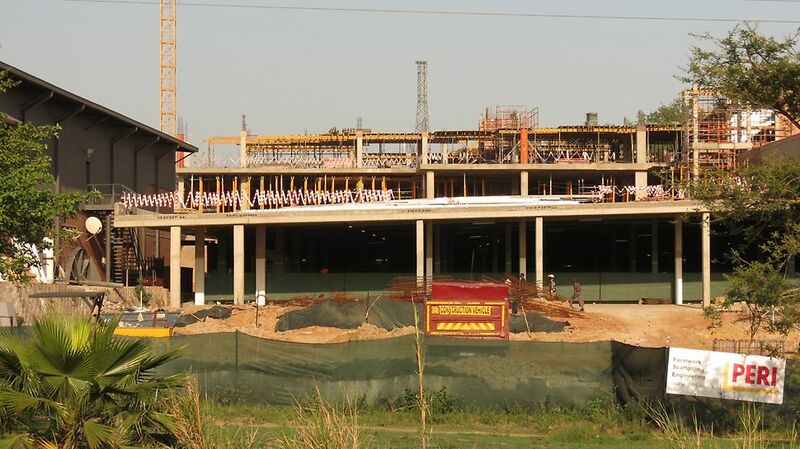 Additions and alterations to the Crossing Shopping Centre, located on the corner of the N4 and Madiba Drive in Mbombela, Mpumalanga. The project started in June 2015 and needed to be completed by October 2015. 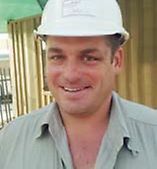 The project had a particularly tight schedule and, to save time between cycles, the client needed systems that could be easily assembled. After just a few hours of on-site training, the Ikotwe team were very impressed with the ease-of-use of the systems. A total of 25 000 m2 of slabs were poured successfully and quickly. 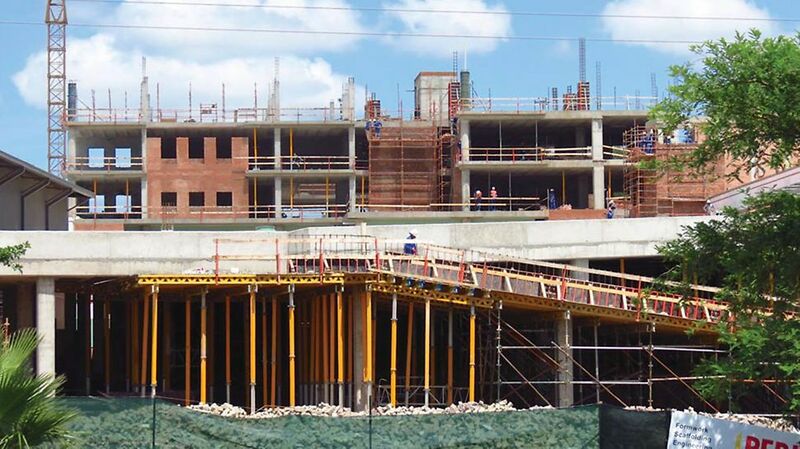 For the more than 5 000 m2 of double volume coffer slabs, Ikotwe required a system which could be cycled continuously. The addition included columns which exceeded 5m in height, and slabs exceeding 750 mm in thickness. PERI systems helped the client save the time needed while still delivering quality wor. The PERI systems, design, service delivery, both on and off site, makes it possible to take on this kind of project and deliver quality work. 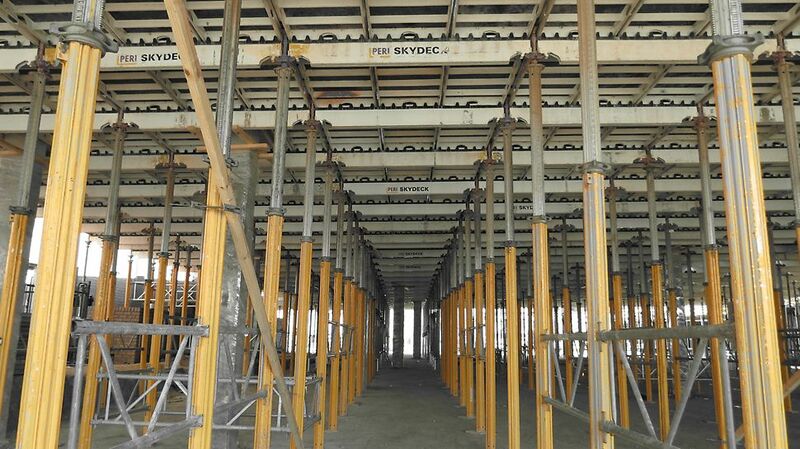 SKYDECK was the ideal solution for 20 000 m2 of post-tensioned slabs. The system also saved time on assembly because of easy loading and quick stripping. 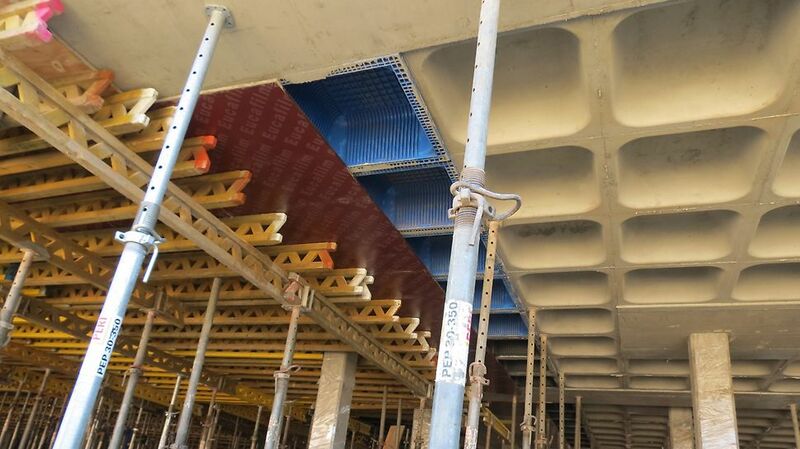 The double volume coffer slabs were completed using MULTIFLEX, with wafﬂe moulds, MULTIPROP 625 and MRK frames. 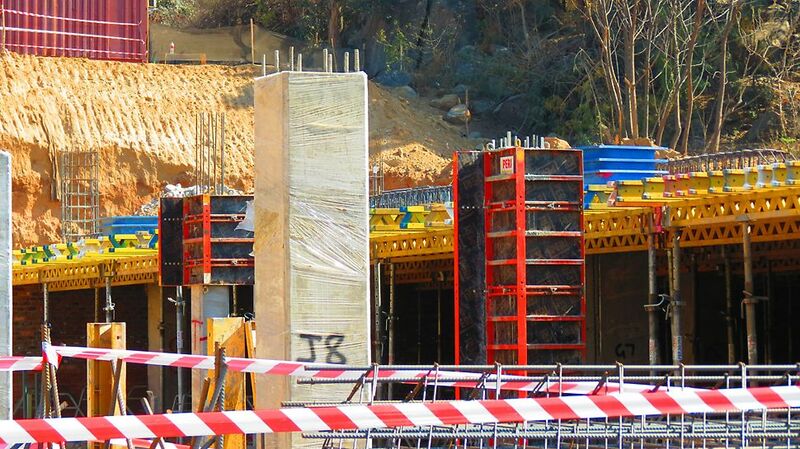 LICO column formwork was used for the columns, and DOMINO for beams and slabs.